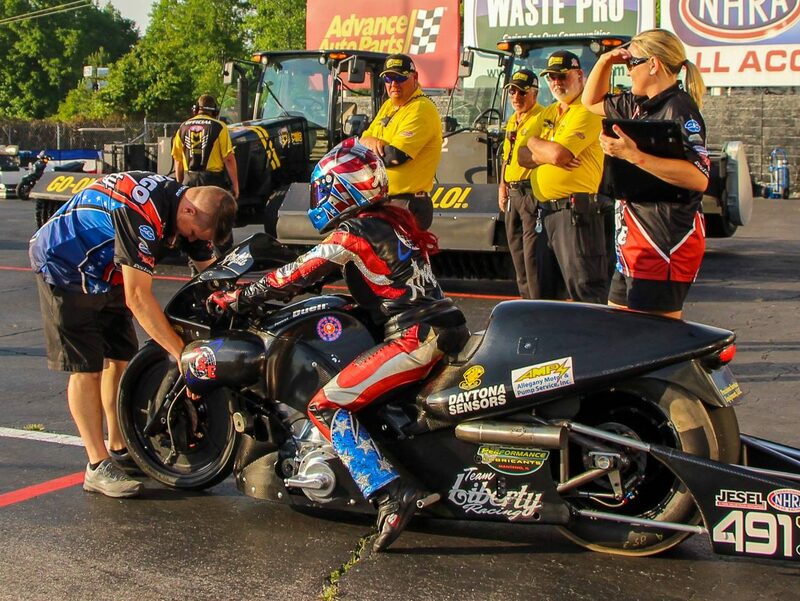 This weekend Team Liberty Racing’s Cory Reed and Angelle Sampey will head to Route 66 Raceway in Joliet, Ill. for the fourth of 16 races in the NHRA Mello Yello Drag Racing season for the Pro Stock Motorcycle category. With both riders in the top ten in points, morale is high within Team Liberty Racing and Reed and Sampey are ready to continue the momentum. FRIDAY, June 1- qualifying at 5:15 and 7:45p.m. 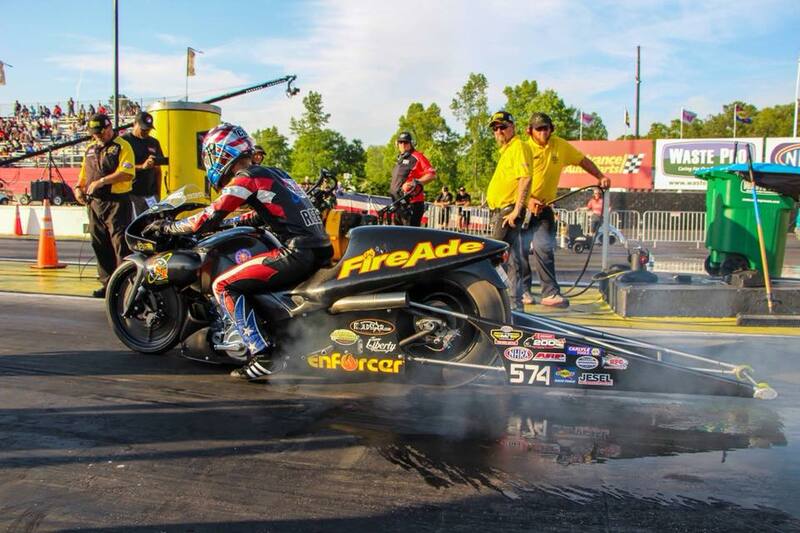 SATURDAY, June 2- qualifying at 3:15 and 6 p.m.
SUNDAY, June 3- Pre-race ceremonies, 9:45 a.m.
MELLO YELLO SERIES eliminations begin at 11 a.m.
Saturday, June 2, FS1 will televise two hours of qualifying coverage at 7 p.m. (ET). Sunday, June 3, FS1 will televise three hours of finals coverage at 5:30 p.m. (ET).